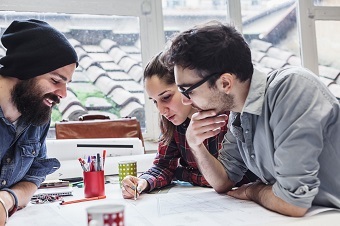 Stakeholder Engagement – experience of, and plans to involve stakeholders, including consumers, in the planning, delivery and monitoring of services. Shortlisted applicants will then be invited to interview. If you’d like to know more, including how to apply, CLICK HERE for the Tenderlink portal. Two other tenders, Alcohol and Other Drug Treatment Services and Integrated Team Care, are now closed. Services for all tenders are set to commence in January 2017. 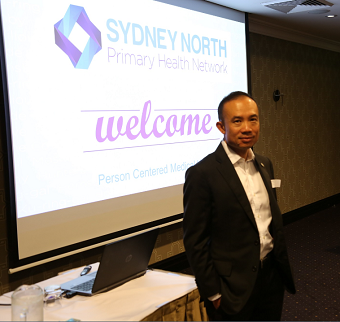 RACGP General Practitioner of the Year (2015), Dr Kean-Seng Lim was our keynote speaker for the Person Centred Medical Home (PCMH) CPD education events held on two evenings – Tuesday 15 November (Manly) and Wednesday 23 November (Epping). 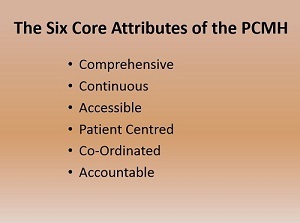 As a GP principal of a small group practice in Mt Druitt that has implemented the PCMH model with success, Dr Lim shared with the attending GP’s and allied health providers, case studies and his personal experience of implementing a model of care that places patients with chronic conditions at the centre of an integrated care plan involving a comprehensive healthcare team approach. Dr Lim shared with his audience the experience of a group of patients that all had diabetes. In 2013 these patients began to participate in group and individual sessions with the practice’s healthcare team including a practice dietician, exercise physiologist, clinical pharmacist, psychologist, and practice nurse. 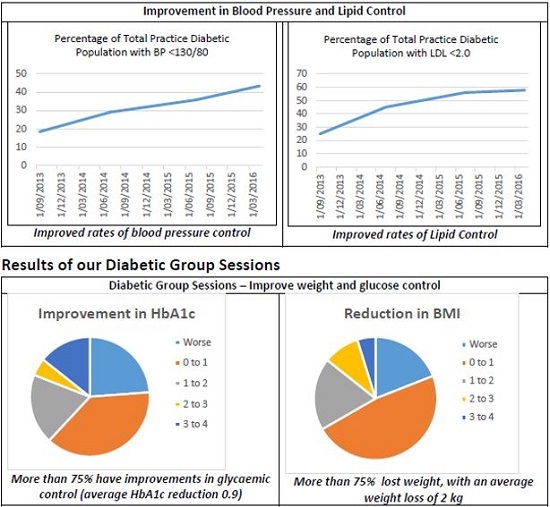 Over the ensuing three years, significant improvements were made to these patients’ health outcomes including improvements in blood pressure and glycaemic control (0.9 average HbA1c reduction) and weight reduction in 75% of the group. With the Government’s ‘health care home’ trials currently generating interest in the primary healthcare sector, Dr Kean-Seng pointed out that the PCMH model is different and that SNPHN is not involved in the ‘health care home’ trials. 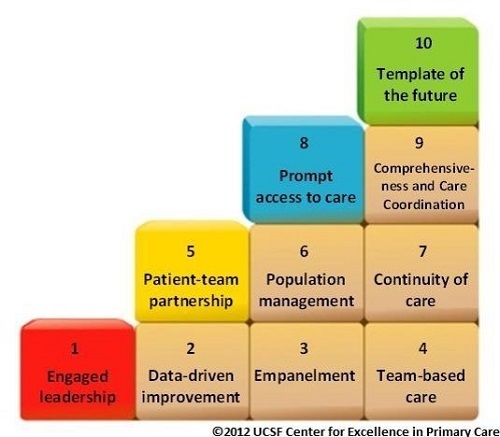 The PCMH model was first established in 1962 by the American Pediatrics Association and was a response to a fragmented hospital based system. The model is based on the Quadruple Aim, the 6 attributes and the 10 building blocks. 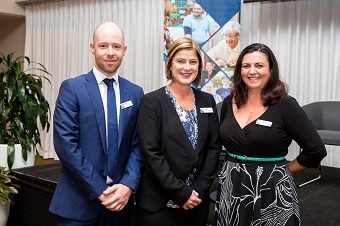 Practices in the Sydney North region are now being invited to express interest (EOI) in participating in the Person Centred Medical Home program in 2017. 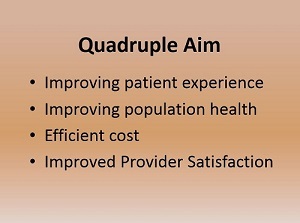 SNPHN will work with the assigned practices in 2017 – 2018 to achieve the quadruple aim through active support, access to tools and personal and friendly advice from a member of the Primary Care Advancement team. CLICK HERE for the Person Centred Medical Home presentation by Dr Kean-Seng Lim. CLICK HERE for the Patient Centred HealthCare Homes in Australia. Have you considered becoming a member of SNPHN? Currently no fee to join. We offer three types of SNPHN Membership – Individual; Organisational and Associate. To apply to become a member please select the membership type below and fill-in the online form. CLICK HERE for more information about becoming an SNPHN member. To enquire about membership, please contact SNPHN on 9432 8250. SNPHN attended the Turramurra High School Wellbeing expo on Friday 18 November. With After Hours resources like coffee cups, drink bottles, flyers and translated magnets, we spoke to high school aged students about how to access health services when their regular GP is closed. Other organisations that participated in the expo include Macquarie University, KYDS, Taldumande Youth Services, twenty10, and the Department of Human Services. “Community engagement is an important part of our work as a Primary Health Network. 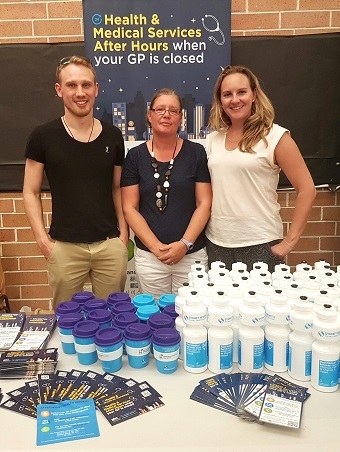 The Turramurra High School Wellbeing expo allowed us to engage with and inform young people about After Hours health services,” says Phillip Stone, SNPHN Commissioning Project Officer. With an estimated 176,522 people aged 12-25 years living in the Northern Sydney area and as many as one in four young people experiencing mental health illness, youth mental health is a key focus for the SNPHN region. SNPHN recently took over responsibility for commissioning two local headspace centres in Chatswood and Brookvale. These services provide young people with access to health workers. headspace is a youth mental health service that has operated for the past ten years across Australia. SNPHN will continue to work with young people and services that support youth in the region to improve health outcomes. HealthPathways is an online local health information portal. It is a resource for General Practice, but could be used by hospital and primary care clinicians in the community. HealthPathways is dynamic, with new HealthPathways constantly under development and existing HealthPathways regularly reviewed in light of changing evidence, technology, and local circumstances. The long-term goal of HealthPathways programs are to improve patient access to the right care, in the right place at the right time and to better integrate primary and specialist systems of care. A number of broad topic areas, informed by the SNPHN needs assessment, have been identified for initial pathway development. 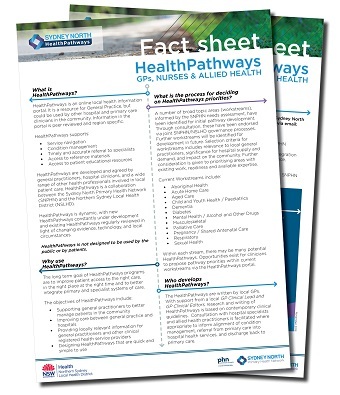 The HealthPathways are written by local GPs with support from a local GP Clinical Lead and GP Clinical Editors. The research and writing undertaken for HealthPathways is supported by contemporary and locally agreed clinical guidelines. CLICK HERE for more HealthPathways information.